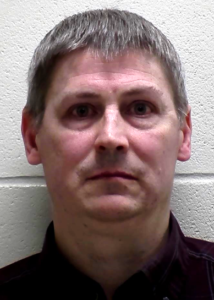 A Mason City man who worked as a custodian at a Clear Lake elementary school is charged with invasion of privacy after allegedly placing a video recording device in a staff restroom. Clear Lake Police Chief Pete Roth says 46-year-old David Bemis was arrested at around 5 o’clock Monday evening and booked into the Cerro Gordo County Jail on four counts of invasion of privacy. He’s accused while employed as a custodian of placing a device in a staff bathroom at Clear Creek Elementary School in May 2013. The school district became aware of the possible incident last month and contacted police to investigate. Roth says investigators were able to recover video evidence recorded that showed brief footage of four staff members in a staff restroom. The four staff members have been identified and were contacted as part of the investigation. Roth says the recordings appear to be an isolated incident.